They are among the largest species of wasp and their name is taken from both its prey and a ruthlessly efficient killing machine, the raptor known as a hawk. Yet the Tarantula Hawk Wasp gains its fearful name and reputation from the simple urge to care for and nourish its young. 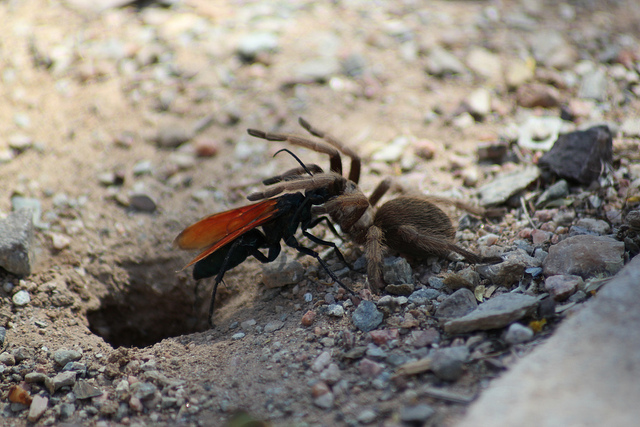 Growing up to two inches (5cm) in length the sight of a tarantula hawk would send the average entomophobic in to a state of palpitations. So, perhaps if you are already frowning squeamishly, your knuckles rapidly whitening, then you should not read on. If you have children you will no doubt have experienced the heart stopping moment when you realize the little one has wandered off and you cannot see them anywhere. 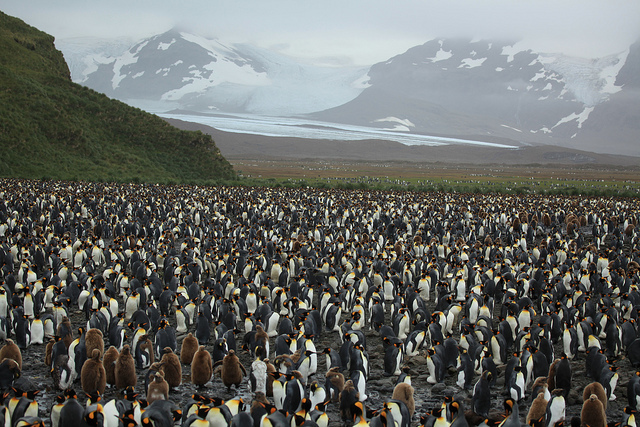 You might imagine, then, how the average King Penguin parent might feel when they return to feed their chick. 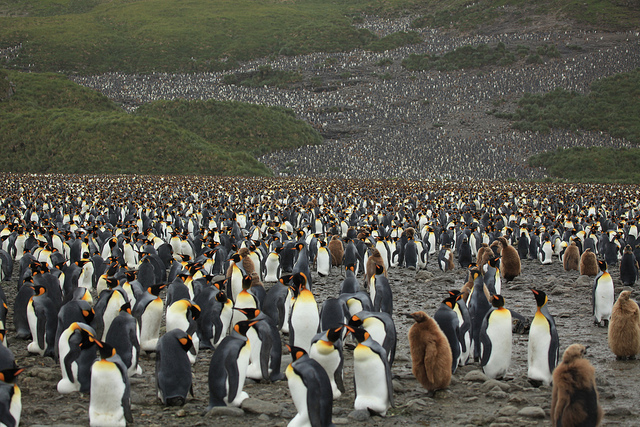 Yet it is all part of the King Penguin’s master plan for the survival of the next generation.